Summer has arrived, and brought with it an abundance of delicious fruit. 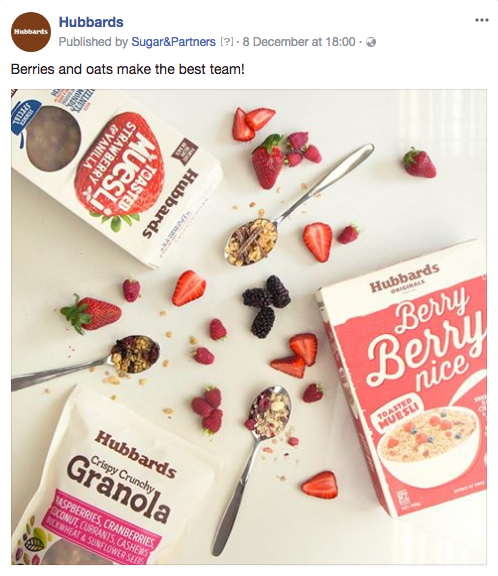 Accented with the rich, succulent flavours of Black Doris Plum and Passionfruit – Hubbards two new Crispy Crunchy Granola flavours – Social Media has come alive with the vibrant taste of summer! 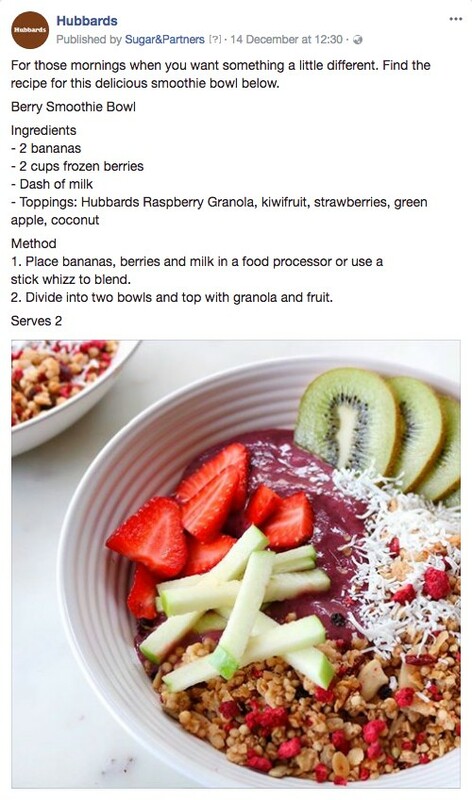 Inspired by the fruit forward granola flavours, we created social posts that reflected these kiwi favourites. 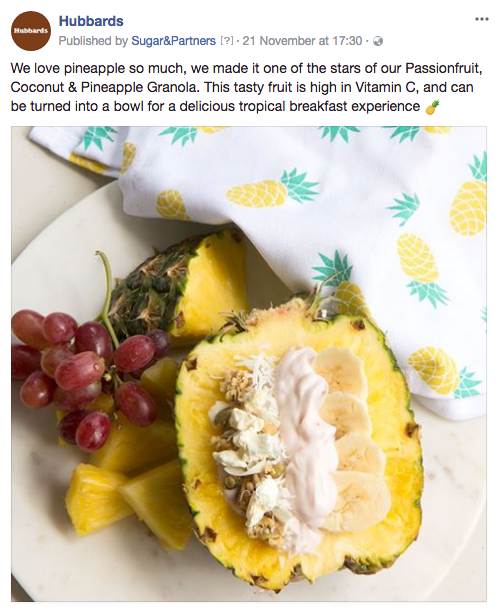 Hubbards very own food stylist carefully crafted recipes that used both granola flavours in innovative ways, encouraging the audience to try something new with their breakfast staple. Enter berry season, and the selection of fruit on offer expands to include strawberries, raspberries, blackberries and blueberries – the perfect excuse for a summer fruits inspired theme.